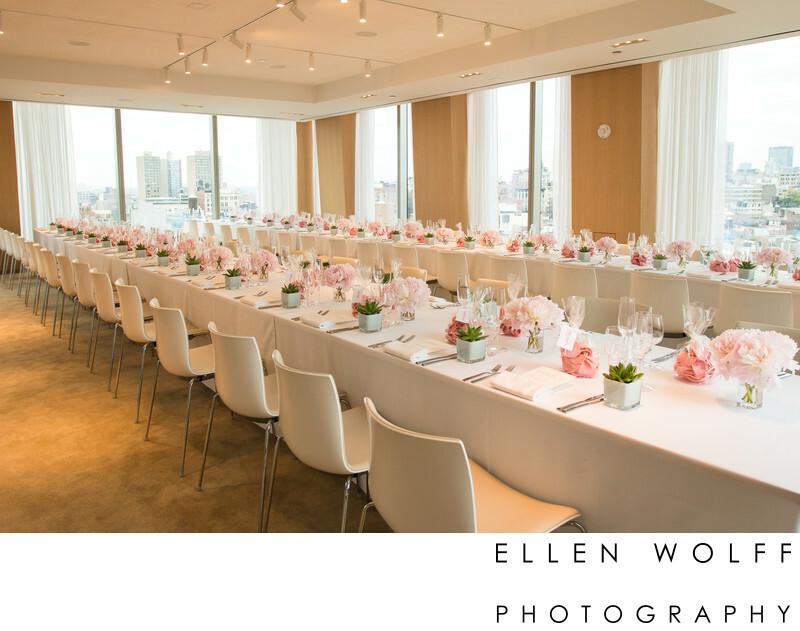 This bridal shower took place at PUBLIC Hotel by Ian Schrager. PUBLIC Hotel is located on the Lower East Side. The room is located on a high floor and looks East over low 6 story buildings and water towers. It was a gray day but the mood inside was warm. The table setting were surrounded by windows on 3 sides and the rest of the room is wood paneled. The long feasting tables were set with pink chips, peonies, and mini cactus plants for each guest. Location: 215 Chrystie Street New York NY 10002.